What are your retirement wishes? I want to hear about your bucket list and retirement wishes because, the more conversations I have with people around my own age, the more I discover just how popular the concept is, and how many Bucket Lists there are out there! · You deserve your retirement wishes-reward yourself! · It’s your to-do list before you kick the bucket! Do it now! While you still have the health, energy, and motivation to do all those thinks you always wanted to do, yet family and work obligations limited you. I've had a lot of fun and enjoyment compiling my own bucket list - and working through it! And, funny enough - the list just seems to be getting longer and longer! While I love sharing my own retirement wishes and "magic moments" - I really love hearing (and seeing the photos) of what's on your bucket list. What are your wishes following (or before) retirement? This page is especially for you! For you to write a Bucket list - and see what's on other folks bucket lists! Let me know how it's going. Why these wishes are important to you! How are you planning to make them REAL! 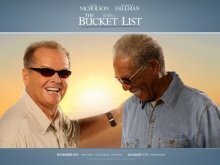 To get some ideas, you might want to consult bucketlist.org and see what are some of the more popular ideas are. Click below to see Bucket Lists from other visitors to this page ... see what you have in common.